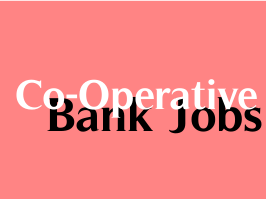 District Cooperative Central Banks (DCCB) District Wise in the state of Telangana has released notification for recruitment of 788 Staff Assistant/ Clerk & 118 Assistant Manager vacancies. Age Limit: Candidates age should be between 18-30 years as on 01-10-2015 i .e. candidates should have been born on or after 02-10-1985 but not later than 01-10-1997 (both dates inclusive). Age relaxation is applicable 5 years for SC/ ST, 3 years for OBC, 10 years for Physically Challenged (Gen), 15 years for Physically Challenged (SC/ ST), 13 years for Physically Challenged (OBC) & for others as per rules. Staff Assistants/ Clerk: Candidates should possess Graduation of a recognized University with Knowledge of English and Proficiency in local language (Telugu). Application Fee: Candidates have to pay Rs. 500/- (Rs. 250/- for SC/ ST/ PC/ EXS candidates) through the online mode only by using Debit Cards (RuPay/ Visa/ MasterCard/ Maestro), Credit Cards, Internet Banking, IMPS, Cash Cards/ Mobile Wallets. How to Apply: Eligible candidates may apply online for their belonging District from 09-10-2015 to 19-10-2015. Starting Date to Apply Online & for Payment of Fee: 09-10-2015. Last Date to Apply Online & for Payment of Fee: 19-10-2015. Tentative Date of Online Test: November 2015. Examination Centres: Narsampet, Peddapalli, Deshmukhi, Narsapur, Siddipeta, Kodada, Hyderabad, Karimnagar, Khammam, Medak,. Rangareddy, Warangal, Mahabubnagar, Nizamabad.